“I got to know about Parelli from a friend, already training with Elena, because my horse was not trailer loading. My friend’s Parelli approach worked and since i got very interested in what she told me about Parelli, she invited me to get in touch with Elena and have structural training sessions. 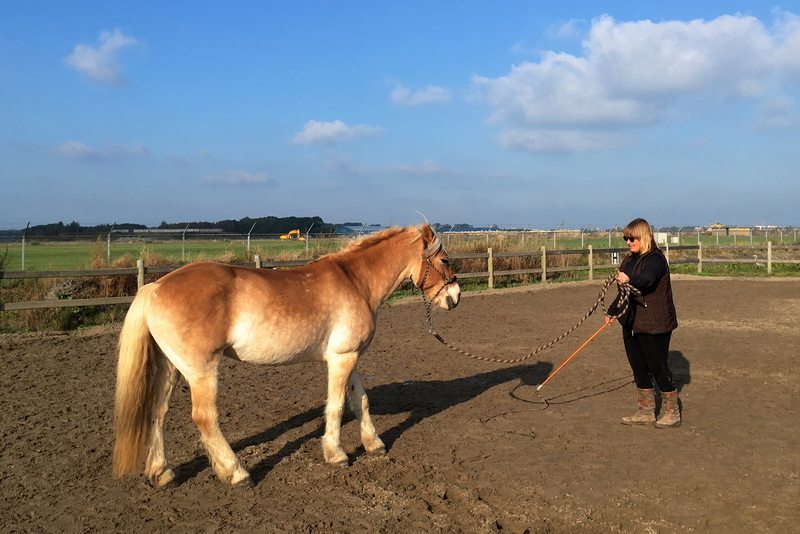 From the first moment Elena helped me and my extremely left brained-extrovert haflinger mare into a far better cooperation on the ground. She is very good in explaining and teaching, but what I like most is that she really reads my little stubborn haflinger and her box of tricks. She is very kind and gentle but yet firm and very clear in her communication and taught me how to best approach my horse and since a year we have our monthly Parelli-day, which is really fun. I also managed to get a whole bunch of ladies interested in and enthusiastic about Parelli so we can not only have our own lesson but can also learn from each other.